Though it is an incomplete work of art that will take decades to complete, it is well worth visiting and touring this UNESCO site. 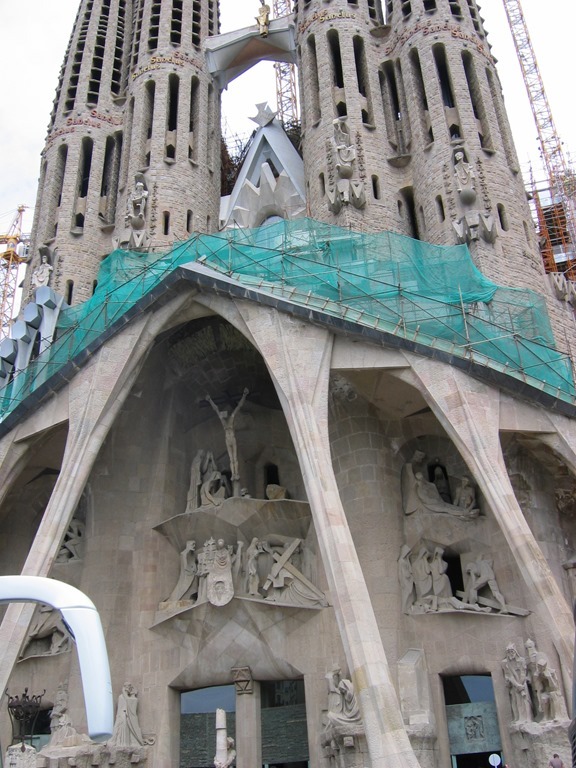 Important biblical events are depicted all throughout on the exterior walls of the basilica. 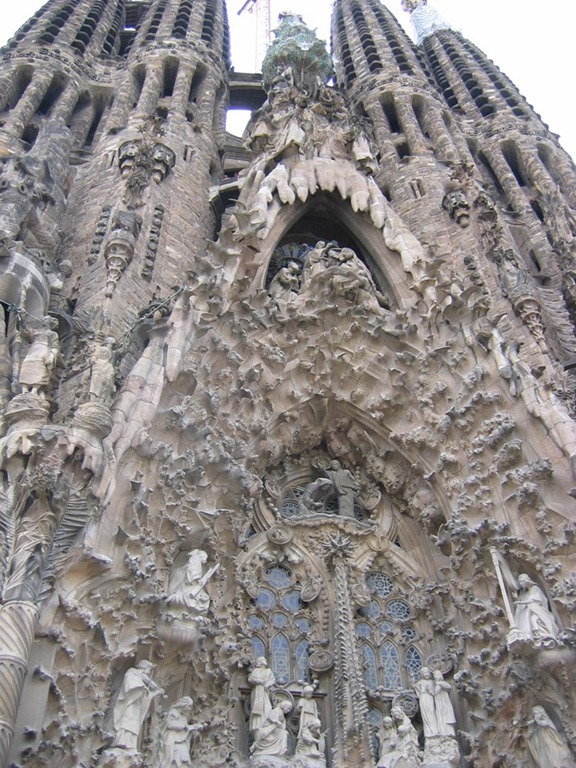 It is a testament to Gaudi’s vision to have drawn out all of the details that it was to represent from the Birth of Christ as noted in the Nativity façade (picture not included) to God’s will in the Glory façade. He knew that the church would be worked on long past his death. 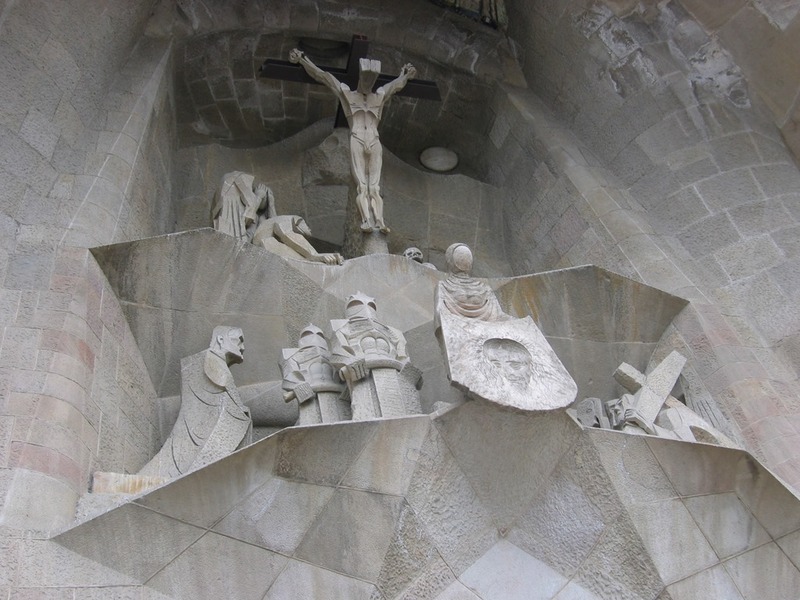 Above left is a closer view of the front entrance – zooming in (above right) you can see more clearly the Crucifixion of Jesus Christ. This section is also known as the Passion Façade (one of the three main facades of the basilica). Above is the Glory Façade which represents the road to God: Death, Final Judgment, and Glory as well as Hell when deviating from God’s Will. 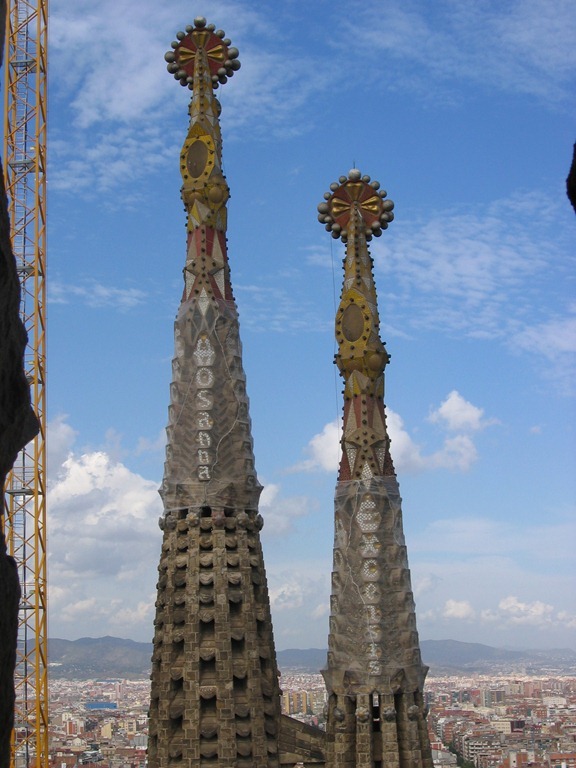 Below left are the spires that represent the twelve apostles, four Evangelists, the Virgin Mary and Jesus Christ. 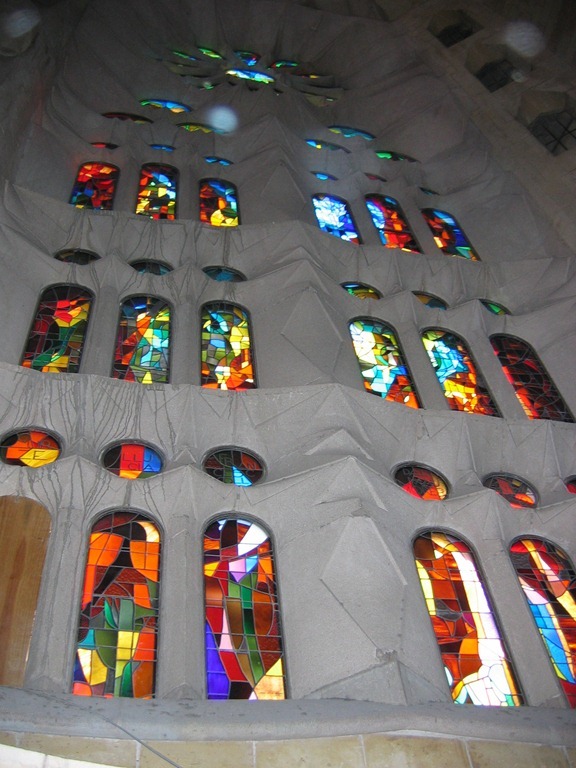 The interior is just as magnificent with colorful stained glass (above right) that are the windows encased in stone of smooth curves and jagged edges that define it so distinctly from the exterior facades. After climbing the many stair cases that seem to be carved from stone, above is a high point view of the surrounding court yard. It is yet another magnificent view of the amazing city of Barcelona from within this work of art! Did you have a chance to check out Parc Guell? That’s probably my favorite of Gaudy’s work. LOL! 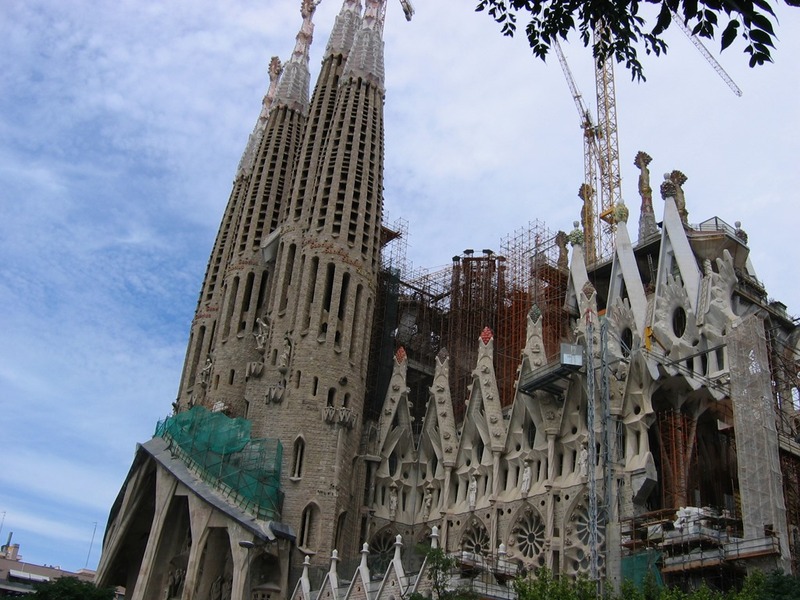 When we had visited La Sagrada, we had walked the local streets and stopped off at the nearby local cafes that were not full of tourists. The locals were completely surprised to see two Asians speaking English in their neck of the woods trying to order espressos in Spanish (which is horrible, let alone Catalonian). We all travelling hallucinations – some better than others, eh?! 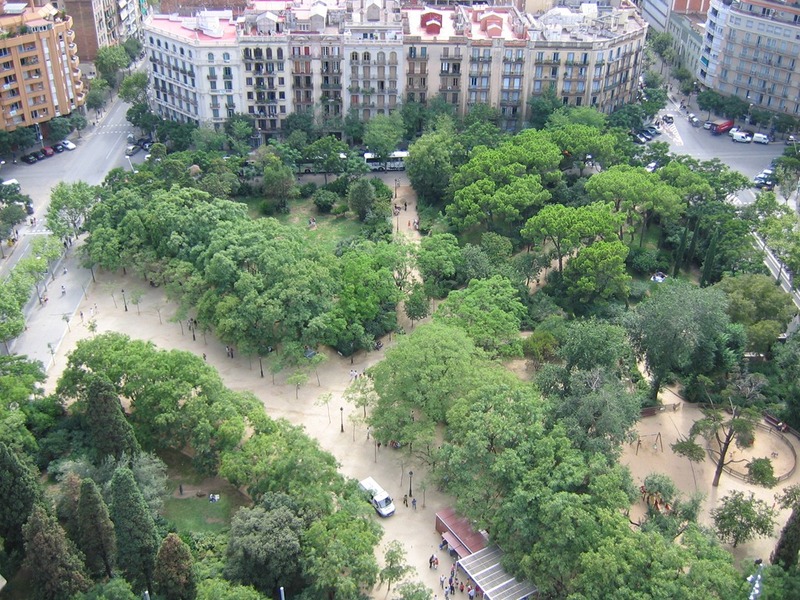 As for Parc Guell – I’m ashamed to say that I did not! Definitely on my to do list the next time I head out to Barcelona, eh? !